‘Eleanor Oliphant is Completely Fine’: This novel was recommended to be by a friend at the Scottish Book Trust – she said everyone there (and her Mum) had read the book and loved it. She wasn’t overselling it. I’m about 80% of the way through, and I am completely spellbound by the protagonist, Eleanor Oliphant. Scottish author, Gail Honeyman, has created a character so honest, hilarious, vulnerable and yet annoying at the same time, it’s impossible not to love her. I am nervous about the ending, about what Elinor’s fate, but I can’t wait to find out. Eligible: This novel is a version of Jane Austen’s Pride & Prejudice, written by Curtis Sittenfeld. Set in Cincinnati, we meet the modern-day Bennets. Every single aspect of Austen’s original story is cleverly weaved in to the plot, with a smart and funny contemporary twist. Liz Bennet is exactly as I would picture her now, a successful journalist living in New York City, whilst her younger sisters are CrossFit fanatics, and Jane a yoga instructor. I raced through this book in a single weekend, with a smile on my face the whole way through. 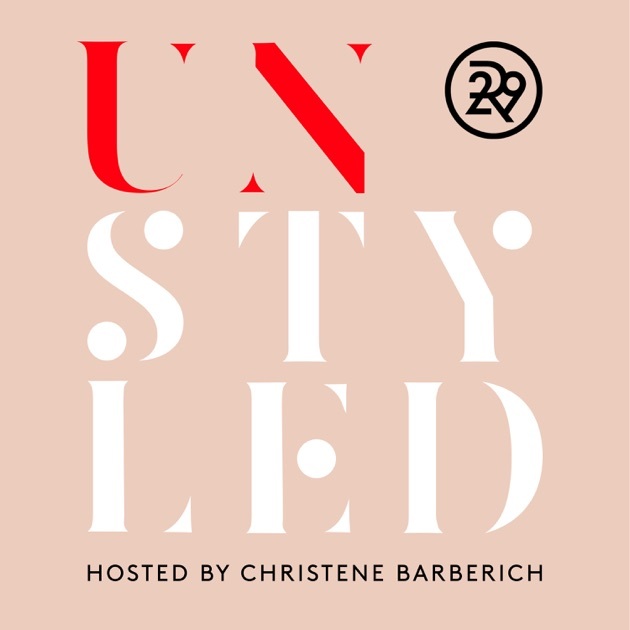 After binging on The Debrief, and thus running out of episodes, I’ve stumbled across Unstyled, a podcast from Refinery29. It is hosted by the website’s Global Editor-In-Chief & Co-founder, Christene Barberich, and each week she talks to a different, well-known guests from the world of fashion, about all manner of things, including work, life and friendship, all whilst drawing on their personal style, and what style really means to them. Christene’s voice is calming, and her interview style is very conversational, making for a relaxing listen. Thanks to friends who are regulars, Good Brothers Wine Bar in Stockbridge has become a regular haunt, and I have learnt a little bit about natural and organic wine. After reading a few articles, at first I assumed it was just another fad. Like with most food and drink, products, in their most natural state are healthy in moderation, and it’s the extra preservatives and chemicals involved in the production of food and drink that makes it so worryingly unhealthy. Natural wines as exactly as they sound – completely free from any horrible extras – nothing added or removed from the wine making process. You’ll find a great selection of natural wines at Good Brothers, and they also do a cracking menu of sharing plates – it is small but perfectly formed. I’ve yet to order a dish I didn’t devour. I don’t know about anyone else, but I absolutely love the Autumn TV line-up! It makes the shorter evenings bearable as we transition to winter nights All my favourite shows are back, starting with the first episode of Victoria on ITV last Sunday. Jenna Coleman is back as Queen Victoria, and we meet her just after giving birth to her first child. Starting on Tuesday night, BBC bring back Doctor Foster for a second gripping season. If the first wasn’t such a nail-biter I’d watch it again in preparation. The past year we have seen St Andrews Square transformed by chic bars and restaurants, and this month we welcome The Ivy on the Square to Edinburgh. Now open for bookings, you’ll be able to dine in the famous eatery from 20th September. It promises an ‘all-day British brasserie with an all-encompassing menu serving modern British and international Ivy-inspired classics from dawn until dusk, seven days a week’. I love the look of their breakfast menu and wonder if it’ll garner as much attention as neighbour Dishoom’s bacon naan. Watch this space. Looking for more recommendations? Check out last month’s #whatthefizz. Next #whatthefizz – Hello Winter!